Deliciously creamy Cadbury milk chocolate in a little bar. Made with a glass and a half of fresh milk. Made with Fairtrade cocoa and sugar. 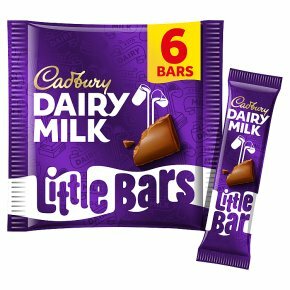 Each pack contains 6 little bars. Suitable for vegetarians.